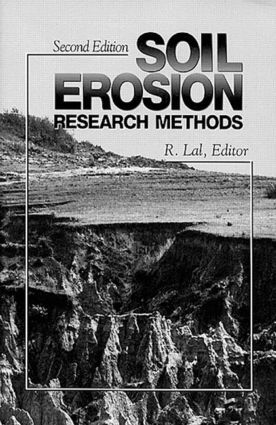 This new edition of Soil Erosion Research Methods retains the themes and layout of the first edition. However, most chapters have been revised and some additional chapters have been added. There are new chapters on modeling wind and water erosion. Extensive revisions and updating have been done in chapters dealing with assessment of erosivity and erodibility, erosion, crop productivity, measuring sediment yield from river basins and field plot techniques. There is extensive updating of current statistics on the global magnitude of soil erosion by water and wind and on denudation rates. Several new authors have made significant improvements in revising and updating available information.